#1 Phillips Zephyr power drive bit, 1/4'' hex shank, aircraft intermediate hardness, 3 1/2'' overall length, ACR for installation. Phillips head bits from Zephyr Tool can be used for driving screws and fasteners with hand tools, corded or cordless power tools, and pneumatic tools. MRO Tools offers a wide selection of Phillips head bits from Zephyr Tool, which are popular throughout the aviation industry as well as automotive, heavy industry or anywhere quality tooling products are required. The Phillips head screwdriver with ACR is purposely designed to cam out when the screw stalls, preventing the fastener from damaging the work or the head. Painted, coated or corroded fasteners can present special problems. Zephyr ACR power drive bits special wing-face ribs grip screw recesses to reduce stripping and cam-out which can result in damage to the surrounding workpiece. #1 Phillips Zephyr power bit, 1/4'' hex shank, aircraft intermediate hardness, 2 3/4'' overall length, ACR installation. #1 Phillips Zephyr power bit, 1/4'' hex shank, aircraft intermediate hardness, 6'' overall length, ACR installation. #1 Phillips Zephyr power bit, 1/4'' hex shank, aircraft intermediate hardness, 1 15/16'' overall length, ACR installation. #1 Phillips Zephyr power bit, 1/4'' hex shank, industrial extra hard, 2 3/4'' overall length, ACR installation. #1 Phillips Zephyr power bit, 1/4'' hex shank, industrial extra hard, 3 1/2'' overall length, ACR installation. #1 Phillips Zephyr power bit, 1/4'' hex shank, industrial extra hard, 6'' overall length, ACR installation. #1 Phillips Zephyr power bit, 1/4'' hex shank, industrial extra hard, 1 15/16'' overall length, ACR installation. #2 Phillips Zephyr power bit, 1/4'' hex shank, aircraft intermediate hardness, 2 3/4'' overall length, ACR installation. #2 Phillips Zephyr power bit, 1/4'' hex shank, aircraft intermediate hardness, 3 1/2'' overall length, ACR installation. #2 Phillips Zephyr power bit, 1/4'' hex shank, aircraft intermediate hardness, 6'' overall length, ACR installation. #2 Phillips Zephyr power bit, 1/4'' hex shank, aircraft intermediate hardness, 1 15/16'' overall length, ACR installation. #2 Phillips Zephyr power bit, 1/4'' hex shank, industrial extra hard, 2 3/4'' overall length, ACR installation. #2 Phillips Zephyr power bit, 1/4'' hex shank, industrial extra hard, 3 1/2'' overall length, ACR installation. #2 Phillips Zephyr power bit, 1/4'' hex shank, industrial extra hard, 6'' overall length, ACR installation. #2 Phillips Zephyr power bit, 1/4'' hex shank, industrial extra hard, 1 15/16'' overall length, ACR installation. #3 Phillips Zephyr power bit, 1/4'' hex shank, aircraft intermediate hardness, 2 3/4'' overall length, ACR installation. #3 Phillips Zephyr power bit, 1/4'' hex shank, aircraft intermediate hardness, 3 1/2'' overall length, ACR installation. 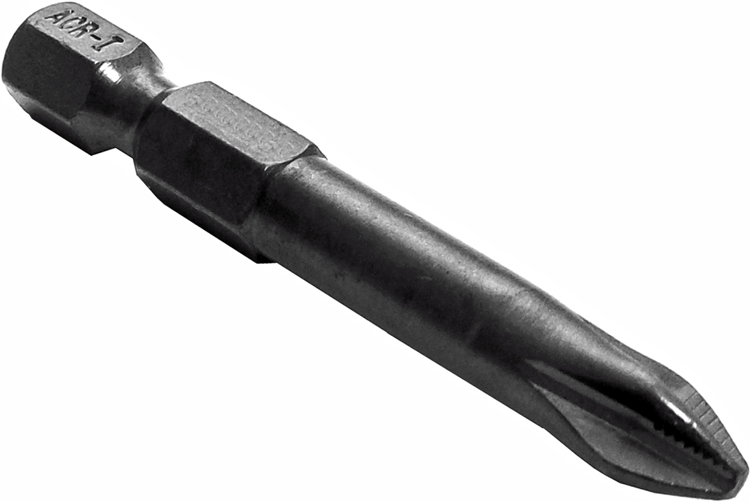 #3 Phillips Zephyr power bit, 1/4'' hex shank, aircraft intermediate hardness, 6'' overall length, ACR installation. #3 Phillips Zephyr power bit, 1/4'' hex shank, aircraft intermediate hardness, 1 15/16'' overall length, ACR installation. #3 Phillips Zephyr power bit, 1/4'' hex shank, industrial extra hard, 2 3/4'' overall length, ACR installation. #3 Phillips Zephyr power bit, 1/4'' hex shank, industrial extra hard, 3 1/2'' overall length, ACR installation. #3 Phillips Zephyr power bit, 1/4'' hex shank, industrial extra hard, 6'' overall length, ACR installation. #3 Phillips Zephyr power bit, 1/4'' hex shank, industrial extra hard, 1 15/16'' overall length, ACR installation. The E1101AA35RI Zephyr 1/4'' Phillips #1 Installation Power Drive Bits, ACR, For Machine Screws is one of thousands of quality tooling products available from MRO Tools. Please browse Zephyr Phillips Power Drive Bits, ACR for tools similar to the E1101AA35RI Zephyr 1/4'' Phillips #1 Installation Power Drive Bits, ACR, For Machine Screws. E1101AA35RI Zephyr 1/4'' Phillips #1 Installation Power Drive Bits, ACR, For Machine Screws description summary: #1 Phillips Zephyr power bit, 1/4'' hex shank, aircraft intermediate hardness, 3 1/2'' overall length, ACR installation. Quantity discounts may be available for the E1101AA35RI Zephyr 1/4'' Phillips #1 Installation Power Drive Bits, ACR, For Machine Screws. Please contact MRO Tools for details.